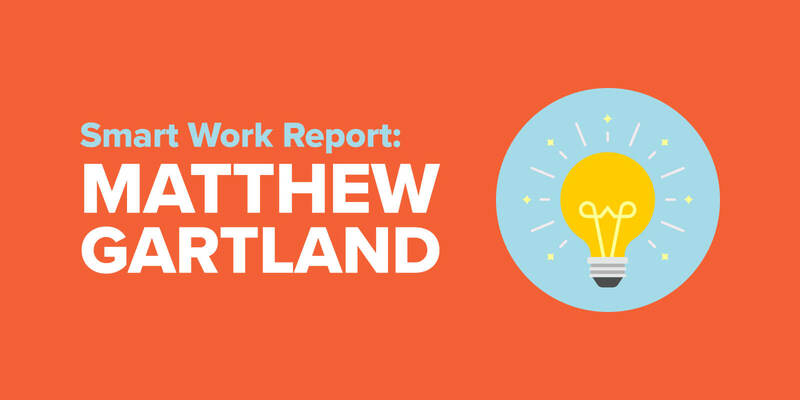 A lot of you have been asking me for a Niche Site Duel update and I’m happy to share my latest report with you today – exactly one year after posting my very first announcement about the challenge. 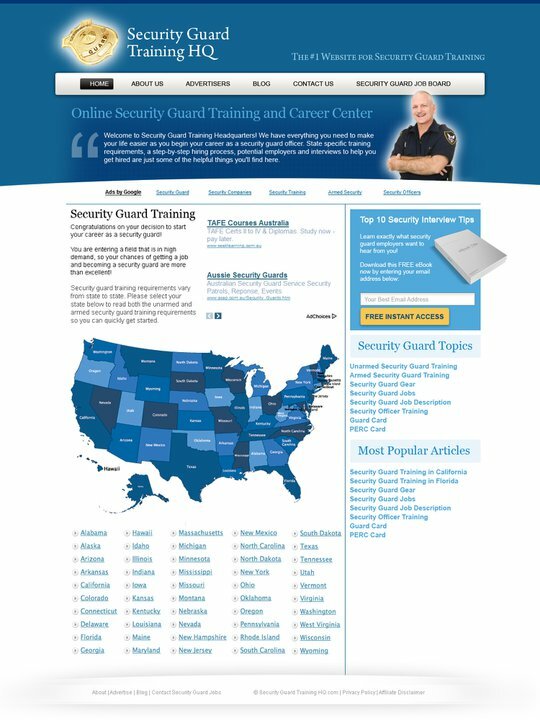 One year after deciding to build a niche site from scratch, I now own the #1 ranked security guard training website in Google which has earned well over $5,000.00 since earning its first dollar in March. I have also been approached by several investors who were interested in purchasing the site from me for upwards of $25,000, which I declined.  On the first of this month (August, 2011), I went live with a brand new design, which I outlined here in my July Income Report. The design looks much more professional, but nobody was quite sure what would happen to my rankings, traffic and earnings. I now have 2 weeks of solid data since the update to share with you. 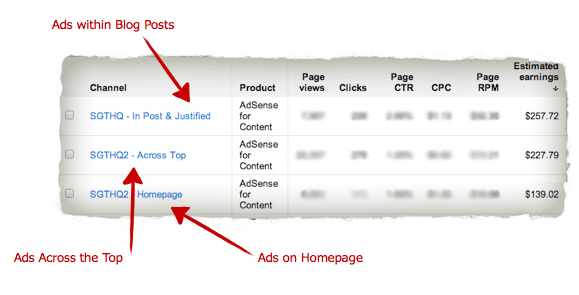 Note: I try not to link directly to my niche site from SPI. If you’d like to visit, you can check it out at SecurityGuardTrainingHQ.com. I’m glad to say that none of the related keywords I’ve been paying attention to have dropped in search engine rankings. Actually, according to the Scroogle Scraper (which is a search engine used to search through Google anonymously without any record of previous searches, which can skew the rankings that you see), many of the more highly trafficked keywords that I’ve been paying attention to have risen. Guard Card is a highly competitive keyword that I’ve recently started putting an effort into ranking for using THE Backlinking Strategy that Works, and I’ve already seen some major progress. A month ago I wasn’t even on the radar, and now I’m at 23. If I can break the top 3 this will result in a huge increase in (highly targeted) traffic, and there are a lot of online courses with affiliate programs specifically for obtaining a guard card, which is a California specific security guard requirement. Of course, I’ll keep you posted on my progress. Yep – plain ol’ “security guard”. It has about 14 times as many monthly global searches than my primary keyword, security guard training, and although the traffic is less targeted for what my website is about (i.e., people may be searching for security guard companies to hire instead of training information), it may present an opportunity to expand what my website includes in the future. 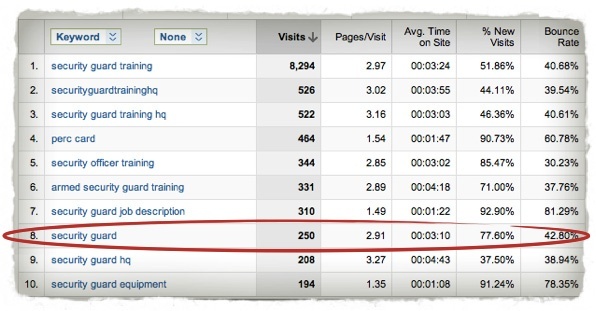 With an Alexa ranking of 39,042, traffic to the niche site is at an all time high, even after the design update. Since the update (August 1 to August 15), the site averages 601 unique visitors per day. Before the update (July 15 to July 31), the site averaged 554 unique visitors per day. As far as engagement, the numbers are virtually the same – which is a win. With a more professional looking site, sometimes looks can be deceiving and changes like this can dramatically decrease the number of pages people view (because of navigation changes), the time people spend on the site, bounce rate, etc – but luckily none of that has changed at all. 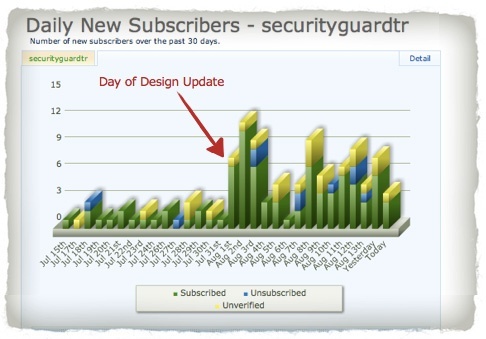 One of the major changes in the new update was a more prominent email opt-in form, which included a free eBook (Top 10 Security Guard Interview Tips) to entice people to subscribe. 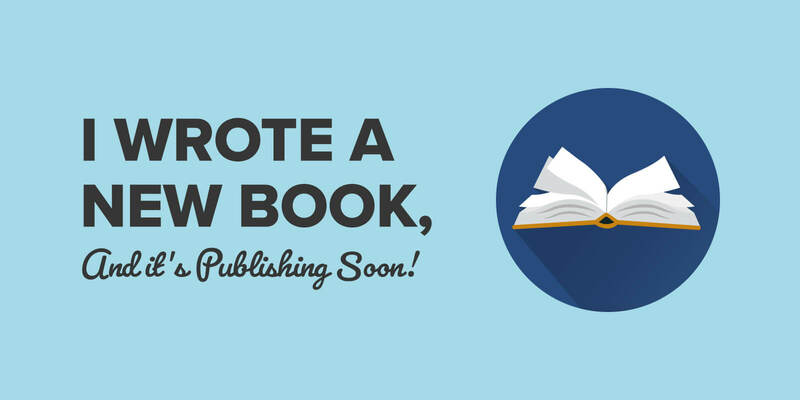 Before I share the numbers, I just wanted to thank Danielle McGaw, a freelance writer and SPI reader who was kind enough to ghostwrite this eBook for me. She did a fantastic job and even went the extra mile to call security guard companies for me to get some real quotes to put into the book. I polished it with my own voice in the end, but she did most of the work and I’ve had a few subscribers email me thanking me for the guide. It is actually very helpful, as anything that we publish online should be. If you need someone to write for you, I highly recommend Danielle. Here is a sample piece of her writing. From 2 per week, to about 8 per day, I’d say that’s a great conversion change. I have a total of 265 people on the list so far. As to what I’ll be doing with that list, I’m not quite sure yet. There are some potential CPA offers I could push, and possibly some affiliate products in the future, but for now I’m just sticking with collecting the email addresses and providing a little bit of content until I figure it out. Earnings after the design update are on a record pace. Like I said, I was worried that the earnings would decrease, maybe because of a lower click-through rate (CTR) or lower cost per click (CPC), but things have continued to grow as if I didn’t make any design change at all. One thing I did notice is that the horizontal ads that span across the top have a lower CTR than before, but the CTR of the rectangular ad in the middle of the page is higher. The CPCs are about the same. Halfway through August, the site has earned a total of $682.28, which is more than half of the $1162.71 earned in July. I was a little worried about the design update, and even though nothing changed significantly, I consider that a big win. The design update was done to change the look, feel and usability of the site – not to immediately increase traffic and earnings – so I’m very happy with the results. The growth in traffic and earnings may just be natural growth that would have happened anyways, but to put a new design to the site and see that grown continue is fantastic, because now I can be more comfortable with the product that I’m showing to the world, and it’ll help when I share the website with potential advertisers and buyers, if I want to go down that route. Next, I would like to work harder on a generating a secondary form of income for the site to compliment the Adsense earnings – and as I experiment I’ll definitely keep you posted. Thanks for the support, and I wish you all the best. Happy Monday!